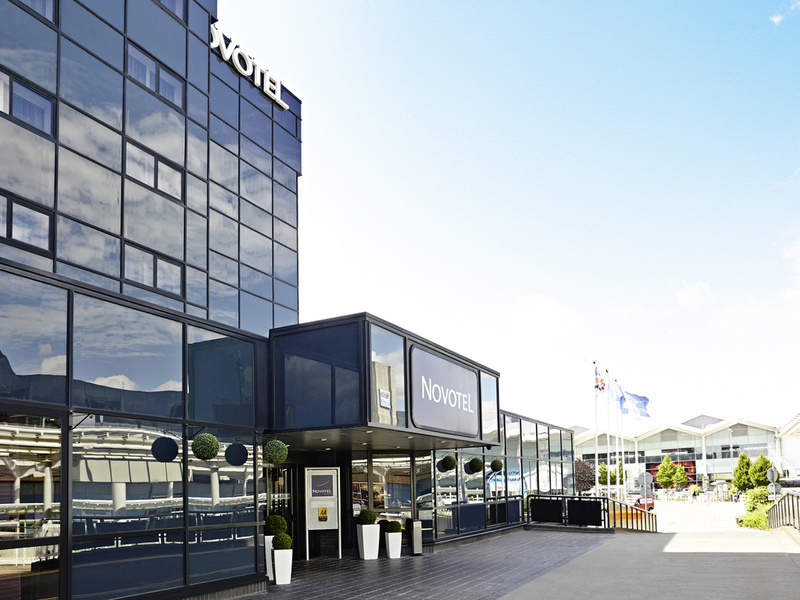 As the closest hotel to the arrival and departure terminals, the 4-star Novotel Birmingham Airport hotel blends style with convenience. Just a minute's walk from the airport, the hotel is the perfect choice for your family or business trip. The airy sound-proofed rooms provide enough space to stretch out and relax, while the 24-hour bar is perfect for a pre-flight snack or well-deserved drink. The hotel's porter will also help with any heavy bags you have, making sure your stay is a welcome one. Spacious, contemporary in design, and adaptable, the Novotel room is truly a place for living, perfect for all your needs. Entertain your palate at Novotel. Enjoy a range of local and international cuisine, simple yet authentic, in a casual setting.Whether you want to eat or simply have a drink, our restaurant has that extra something you can only find at Novotel. Absorb the lively atmosphere at Novotel. In stylish surroundings, choose from an array of beers, wines and cocktails served by our fun and friendly staff. Our buzzing bar offers the perfect place to enjoy an evening's entertainment or relax and unwind.